We’re here to help you succeed, giving you the best resources – including free SAT prep platforms, scholarship websites, college essays that worked, and much more – in one location. Please print, email, and distribute these guides with abandon. 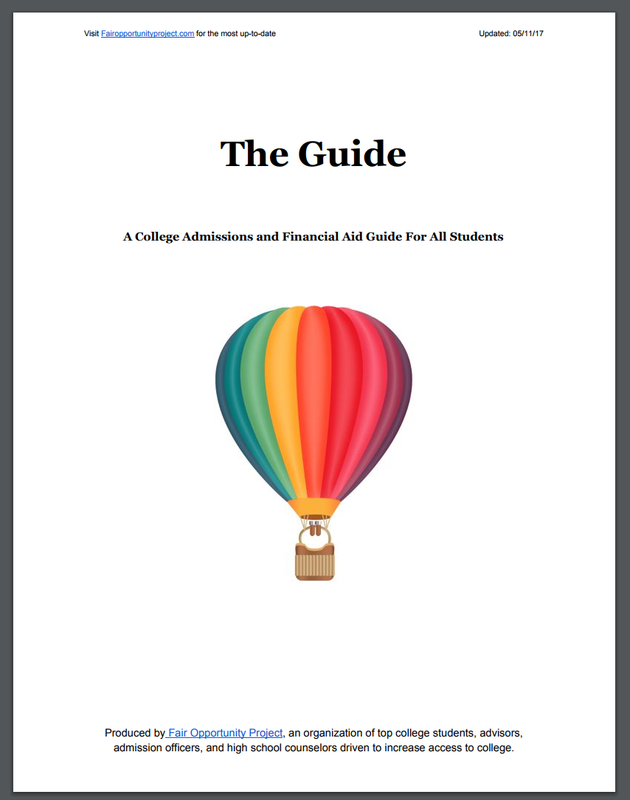 The following guide is the products of 20+ college students, 250 high school counselors, and numerous advisors in the education space. The first iteration was sent to every publicly listed school in the U.S.A and, since then, has been continuously improved using feedback from students, parents, and counselors. 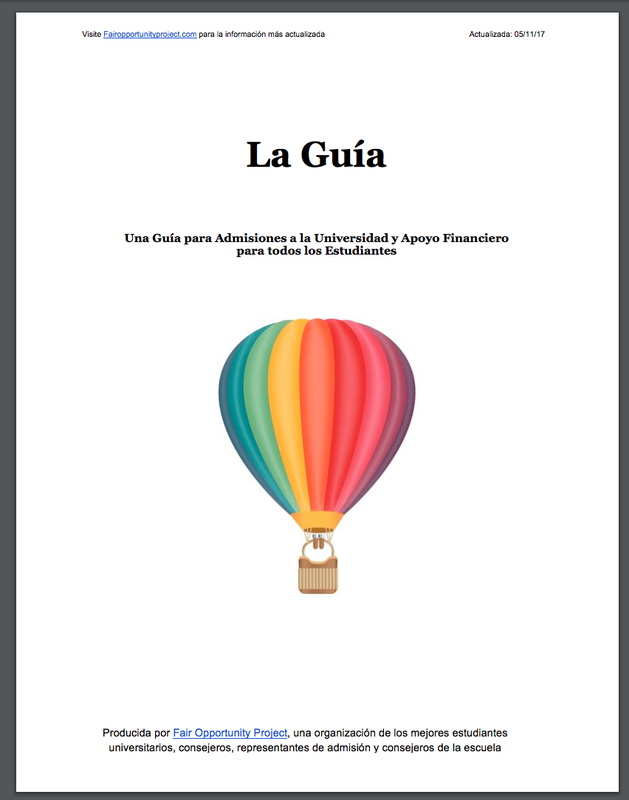 *If you want to suggest changes to the guide or add to the content, you can do so here. **Si desea sugerir cambios a la guía o añadir al contenido, puede hacerlo aquí.